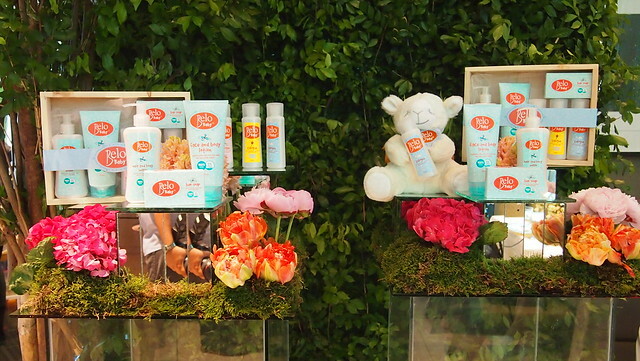 Say hello to Belo's first ever range of products for the most delicate baby skin, Belo Baby. 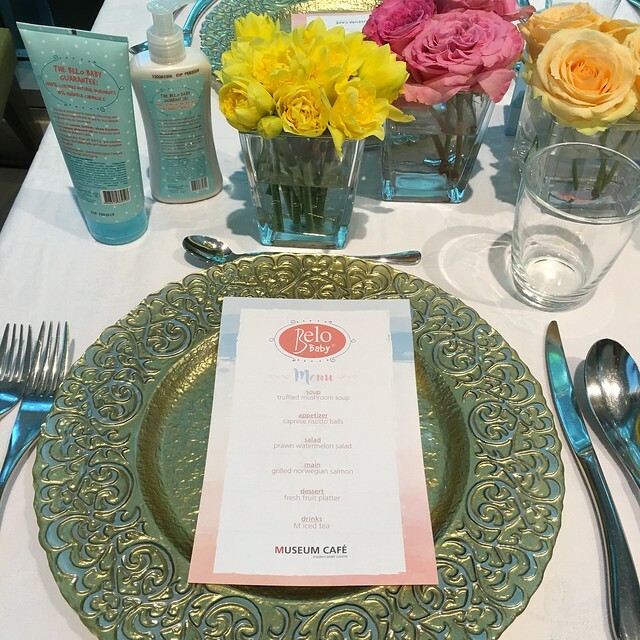 It was officially launched last week over an intimate lunch at Museum Cafe with Belo Baby's Mombassadors and fellow mommy bloggers. The Belo Baby line: Belo Baby Bar Soap, Belo Baby Face and Body Lotion, Belo Baby Hair and Body Wash, Belo Baby Cologne. As we entered Museum Cafe, we were asked what we are looking for when it comes to buying baby products, is it Safe, Natural or Gentle. What would you choose? I chose Gentle! 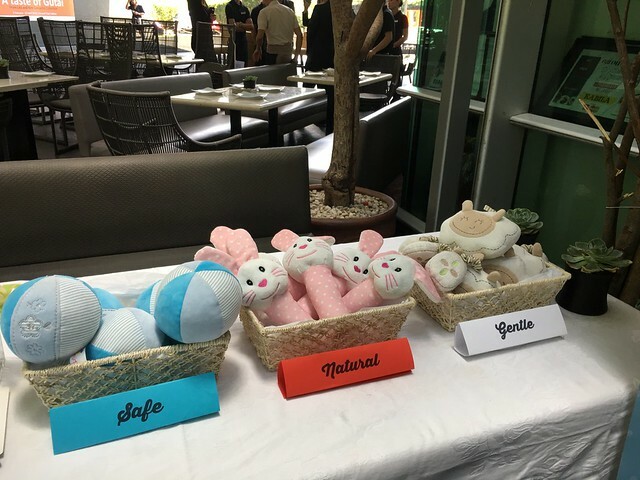 We were given a corresponding plush toy for the "team" we chose. I got that super cute musical sheep! I was table mates with the SoMoms. We were all thrilled to see each other because we rarely see each other! We had a light and very healthy but filling lunch. 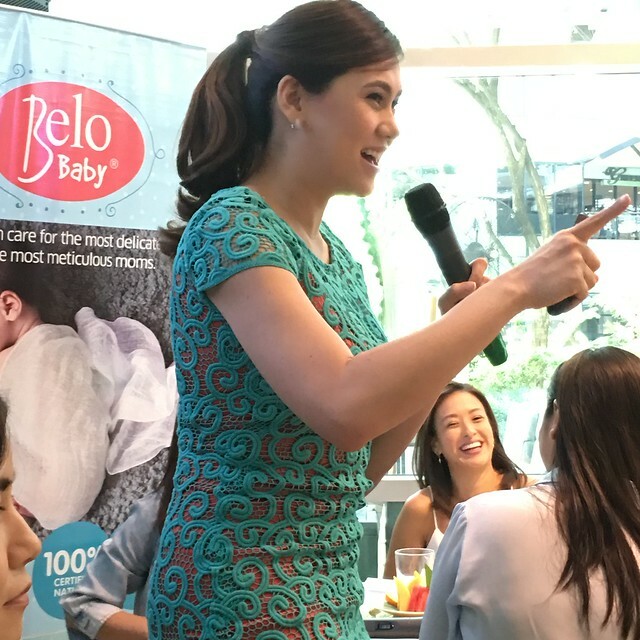 Cristalle Belo Henares graced the launch where she talked more about Belo Baby and how they meticulously studied each product formulation. 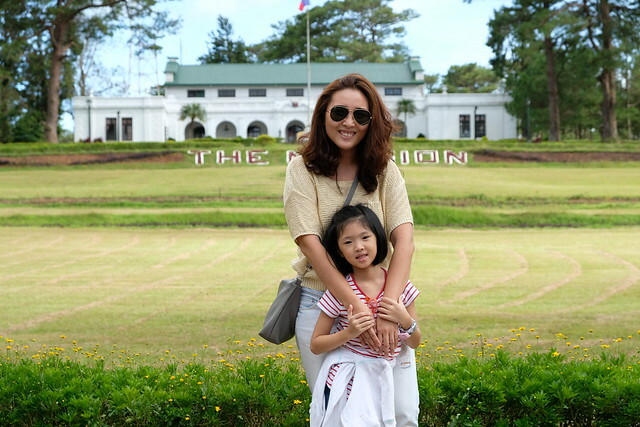 Cristalle was a preschool teacher and loves kids that is why Belo Baby is also very dear to her. She is such a lovely lady! Before Cristalle gave her talk, we had a little game about Belo Baby the good and bad ingredients for your baby's skin. It was a game but we were also learning a lot! Our table won but of course everyone went home a winner! We all got Belo SunExpert and I'm taking them with me on our weekend getaway! Thank you so much to the Belo group! Ok back to babies ulit! Did you know that baby's skin is very sensitive and not fully developed, they're 20-30% thinner compare to adult skin and very permeable? Hence, it needs to kept in its purest form. The Belo Baby line is hypoallergenic and clinically proven to be gentle on the skin. 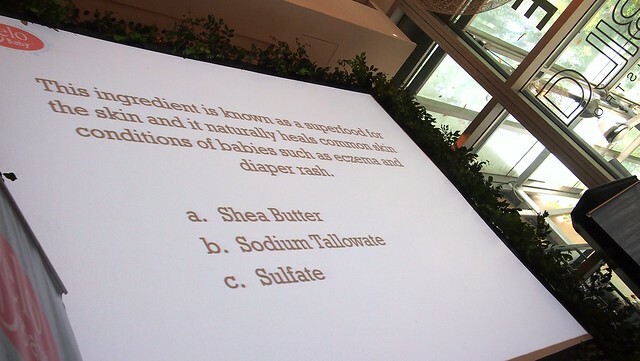 Belo Baby took meticulous care in choosing not only which ingredients to put in, but which to leave out! It's is rich in Cocoa Butter, Shea Butter, and Sweet Almond Oil. Cocoa Butter has antioxidant and anti-inflammatory properties and keeps the skin healthy. Shea Butter is a know superfood for the skin. It naturally heals common skin conditions of babies like eczema and diaper rash! Sweet Almond Oil is a natural emollient for softening skin. It has the ability to lock moisture into skin. 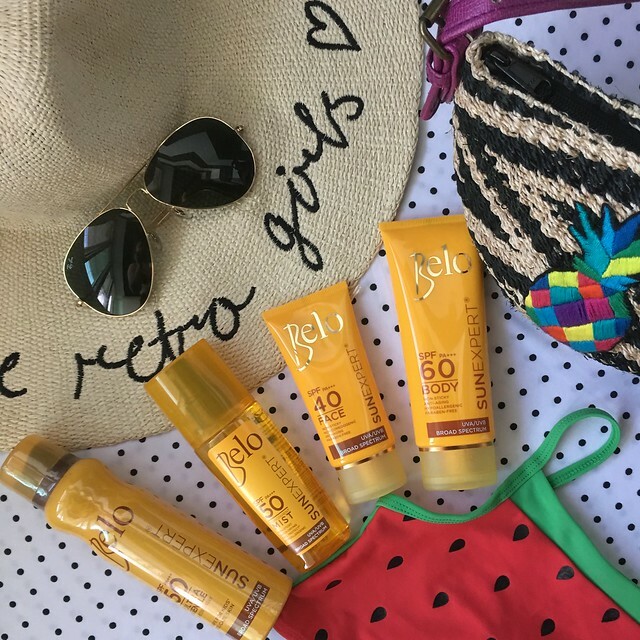 It didn't matter if we chose Safe, Gentle or Natural because Belo Baby is all that! Belo Baby is absolutely free of SLS, sulfates, parabens, pthalates, triclosan, formaldehyde and most common allergens. You can check the other harmful ingredients that Belo Baby left out in their products at Belo Baby's website. Belo Baby was crafted with our baby's delicate skin and meticulous moms in mind. During the launch, Belo Baby's Mombassadors were also introduced! I have been following their #BabyBarangay on Instagram for quite some time now and I've seen them on a few events but never really had the courage to talk to them until this event! Hihi! Nakakakilig just by talking to celebrity moms and models! 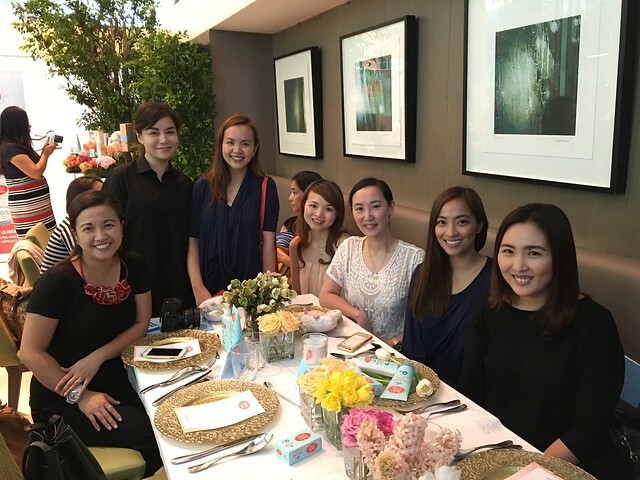 Say Hello to the Belo Baby Mombassadors Model Nicole Hernandez, Model/Host Patty Laurel, Model Kelly Misa with Cristalle Belo-Henares (Photo from @belobabylove). They each gave their testimonial about why they love Belo Baby! I am so happy that Filipina moms now have more choices when it comes to bath and body products for our babies! And it has a seal of guarantee only from the brand and company that truly cares about beauty and skin! I can't wait to use my set of Belo Baby on me and my kids! I'll post about a review soon and a giveaway so you can Belo Baby on your babies too! Do watch out for that!